Take a minute and look at the results you have achieved so far in your life. Now think about all the dreams and goals you have had at one point or another. What was different for the goals you had where you succeeded versus the ones you came up short on? Typically, one of the biggest differences lies in the belief the goal was possible. Working with the number of students I have over the years, one of the areas I usually work on is expanding the possibilities in their lives. I do this to help them achieve greater results than they ever imagined possible before working with me. 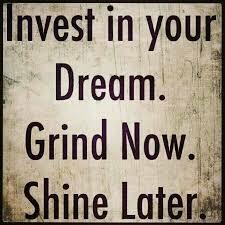 The key ingredient for their success after expanding their minds is buying in to the reality their goals and dreams are possible for them to reach. 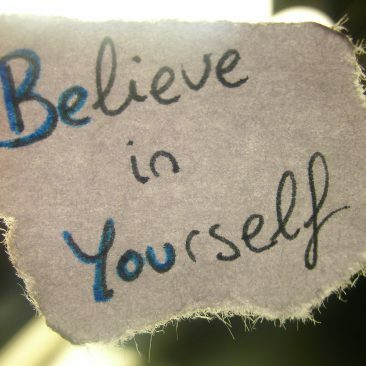 This belief is what gives you the ability to act confidently. Often this belief comes through walking them through the action steps to achieve their ultimate vision. Once they see the steps laid out, the belief is easier. The path has been explained. Any time you have a large goal where you feel yourself doubting whether it is achievable, take the time to map out the action plan. If you are getting stuck at any point, reach out to a mentor like me who is able to provide the knowledge you need to complete the plan. Make sure you get to the stage where you believe your goal will happen. It will determine your success. Anything short of complete belief will leave you short of your desired result. Which way do you think in your life - like a prosperous person with an abundant mindset or with a lack mindset stuck in a place you don't want to be? The thoughts you have about your life and the way you live it will create your results. When you think the same way successful, prosperous people think, you will be successful and prosperous. If you think like those who are struggling, you will find the same in your life. This is where your thoughts and mindset become very important. They truly determine where you will end up. One of the challenges I hear about frequently is students who have all the technical training they can have on a subject, yet are still struggling to create a better life for themselves. They are constantly looking for the next technical piece which is going to make all the difference. Do you know anyone like this? What I typically find is it is often deeper than the technical training. There are usually areas in their mindset which need adjustment to create the results they want. This is one reason my company is called Mind Games. Your mind will play games which determine your results. When you struggle with anything, especially when there is no other obvious reason you should be struggling, start looking at your mindset. More often than not, there is a challenge with how your mind is processing and putting into action the knowledge you have. Make sure to read about, attend trainings and surround yourself with prosperous thinking. This is the only way to learn the knowledge needed to connect all the dots and achieve the success you are meant to experience. It takes effort and the result is well worth it! What have you done lately to continue growing and improving yourself? Obviously, you are reading this so this one action step you have taken. Great job! Now what else are you doing? Have you taken the time to identify what areas in your life you want to grow and change? This is the first step. Identify and make a list of the areas you want to change. Now, I update this list at least twice a year as it can change rapidly as I become aware of areas I want to improve. This is part of being a winner and being successful - constant analysis of what is working and what needs changing. Then choose the first area you want to start taking action on. I usually look at the list I created and choose the one which will make the biggest impact in growth toward my primary Principle Target I am focusing on now. Next choose how you are going to grow in this area. It could be getting a book to learn more about it. Every winner is constantly training themselves on the next area they are growing in. How many books did you read last year? I typically read 3-5 books at a time. I read every day. It's one of the easiest ways to continue improving. Warren Buffet spends the majority of his day reading every day. Is he a winner? Take note of the actions and replicate them yourself. You could search for and find an event to attend for some specific training. My upcoming event is one place to get this exact training. I make it a habit to attend at least one event per quarter. This commitment to myself ensures I continue moving forward. It's like bathing. It must be done with some consistency to have a lasting result. All the books and training events are awesome to continue feeding your growth. Your growth might even include finding a mentor or coach to work with to achieve the most the fastest. Working closely with a mentor will compress the time it takes to reach our Principle Targets. As you see, there are multiple options. Choose one and get started today. Keeping in mind there are always areas to improve is key to your continued growth and success. Learn and grow as rapidly as you can. This is how you will make the biggest impact in the world around you. How much studying do you do now? Now this may be different than the studying you did in school. It includes reading, watching educational training videos, learning a new software or tool and attending workshops. How often do you do any of these? When you want to be successful, the learning must continue throughout your lifetime. Just think of the people who have chosen to ignore learning about the computer. I'm sure you have met or know a few. In today's world, this has become such a powerful tool. For those who decided they didn't need it, they are being left at a huge disadvantage. Do you want to be this type of person? Many people feel once they graduate school, they don't need to continue learning. If they stop there, they only know now what everyone else knows. They are a commodity in the world since they know the same things as many others. This means you will be priced and paid based on what the lowest cost is someone can get for your information. When you want to become valuable to others and be compensated in a way you want, you must become the expert in an area. With the speed at which today's world changes, to become and stay the expert, lifetime learning is necessary. Make the commitment to yourself and your future to always be a student. Find opportunities to learn in your everyday life. Seek out the specialized knowledge which will help you reach your goals. Then put this information into practice on a regular basis to sharpen your skills. This is the effort which pays off big for your present and your future. Do you want to fast track your success? Are you ready to do something different to get something different in your life? One of the fastest ways to jump start your success in all areas of your life is to take action on today's quote. 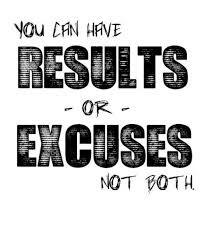 In life there are one of two outcomes to any action - excuses or results. When you cut your excuses in half, your results go up. They have what is called an inverse relationship. When one rises the other falls. The average person comes with a list of excuses when an action is left unfinished. Just think of some of your interactions with others when they have come up short. They always have a reason. When you are ready to step your game up to the next level, eliminating the excuses in your life is one of the best ways to make dramatic, noticeable improvement quickly. Have you ever said to yourself or out loud, "Now's not the right time to do ______."? Typically this is followed by a set of statements which are essentially your criteria to meet before moving forward. The familiar statements are related to time, money and knowledge. Now here's the big question: How often have you ever met these criteria and then moved forward with the idea? Most people I know never move forward with the idea. They forget about what they felt they had to do before they moved forward or another set of circumstances arise which became the new criteria to complete before stepping forward. Sound familiar at all? As Napolean Hill says, the time will never be just right. When you want to do something, the right time to start moving forward on it is now. Everything else is just an excuse you are using as a reason to pause. Be aware when the "it's not the right time" phrase comes out of your mouth or enters your thoughts. It could mean you are afraid of taking the next step and you are using the "it's not the right time" as an excuse. When you realize this is the case, now is the time to figure out an action plan to tackle the fear and step into what you want to do. Remember, the opportunity to take an action tomorrow is never promised to you. Most people put off many of their dreams because today is not the right time. Instead of making an excuse, find the reasons and the way to do it now. Whether successful or not, at least the what-ifs will be gone. Live your life finding ways to make ideas happen to create the dream life you deserve. You will live a much fuller life. One of the biggest areas I work on with my students is conquering the limitations they have created in their life - sometimes knowingly and others unconsciously. Often, I end up working with entrepreneurs who think all they need is another tool, a different strategy, a new area to work in, etc. to create the success they have been striving to achieve for so long. Sound familiar? What they come to realize is they were correct in wanting something new and different. The change though starts from within their own mind. Removing the blocks which have held them back from moving forward with all of the other effective tools they have in their life already. Once these limitations are removed, you become unstoppable. Start looking for the limitations you have set for yourself. What are some of the consistent thoughts which stop you on your path to success? Awareness is the first step leading to the opportunity to change. For some, this may be a challenge to figure out on their own. If you are one of those who is having a challenge figuring out your limitations, come to my next event for some assistance. Do you still take creative time consistently in your schedule? The challenge brought up by Picasso in this quote is one which affects many people in general and entrepreneurs specifically. Remember when you were younger how you could dream and daydream about so many great ideas. You would think of all the possibilities for what life would hold for you. You would imagine games to play and activities to do with your friends. Maybe you sang and danced more. Maybe you put on skits or performances for your family. Or did you just stare up at the clouds imagining what each cloud looked like. Your mind was just free to be as artistic and creative as it ever had been. This was a highly creative time in your life because you were using your mind this way frequently. This creative side is what often gets pushed aside for many as they get older. The every day routine and responsibilities take precedence. Focus often becomes more structured in processes and procedures leaving what ends up becoming less to often no creative time in your schedule. The challenge is just like any muscle which is neglected, it will become weaker and weaker with less and less use. This creative muscle weakening hurts your overall enjoyment of life. It traps you in linear thinking mode which typically stifles creative and artistic thinking. One of the exercises I do with regularity is imagine what I want my world and life to be like. I just take quiet time and let my mind wander entertaining any idea which pops into it no matter how far outside of my current reality it is. This is where I came up with the desire to be the first entrepreneur on the moon. This is just one of many ways to exercise your creative side. Others are ideas such as think up one business idea each day and add it to your journal. Read new books. Visit an art gallery. Discuss your future dreams with friends. Sing your favorite songs in the car or the shower. Meditate. Journal daily. Now when you open up the creative juices again and flex your creative muscle, it get stronger. These stronger muscles then come into play constantly in my everyday life and business. It helps me find or think of solutions to challenges faster. It helps me recognize and create the opportunity right in front of me. It allows me the chance to find more fun in my life for myself and my family. It helps dream up new ideas for my businesses which may have never surfaced. Continuous exercise of your creative muscle will help you experience more success and enjoy life to another level. Figure out ways to incorporate more creative time into your life. The more you do, the more impressive the results in your life. Are you creating meaning with your business? These are fantastic questions to ask yourself about your business... and often are overlooked when people start a business. Did you answer them before you started yours? So many entrepreneurs I have met started their business for one reason - to make money. While revenue is important to be able to create the freedom and lifestyle you dream about, it should never be the main reason for your business. Look at the successful companies and you will find a deep passion among the owners who started them. Steve Jobs, Steve Wozniak, Bill Gates, Paul Allen, Warren Buffett, Dale Carnegie, Henry Ford, Walt Disney. They all created extremely successful companies which make tons of money. What started them and carried them on this course to success was a desire to make the world a better place with their products. If they had only been concerned with the money, they would never have persevered when times were challenging. If they had only focused on the money, they would have never looked at what the customer's needs were and are. What many entrepreneurs fail to realize is when you take care of your customer's challenges with your solution of a quality product or service, they will be happy. Happy customers tell others about your products because they know it will work for their friends. Referrals are the easiest business to close since someone else has already vouched for your company. Happy customers and referrals come from delivering a fantastic product with amazing service from a person or a company who is passionate about helping them resolve a challenge they have. When you become this type of company focused on making the world a better place, the money will follow. Take the time now to figure out what your customers need and want. Focus on delivering the best product and the most fantastic service to create an amazing experience for them. When you impact their world in a such a positive way, it will affect your world, and your bank account, in a positive way!